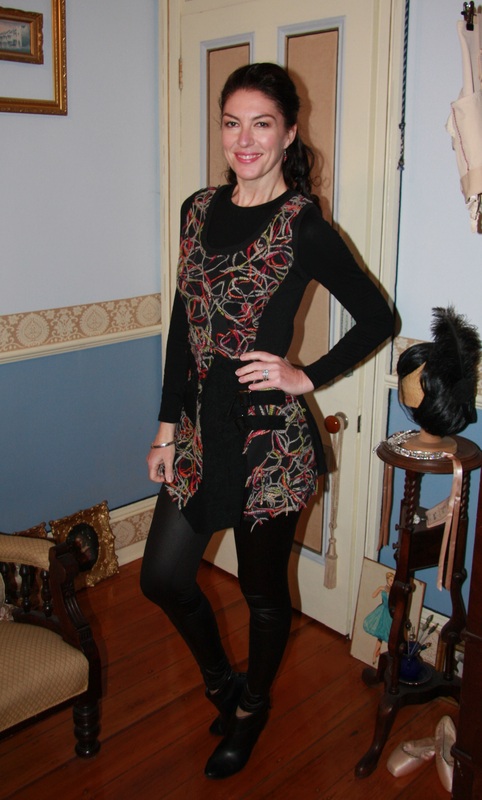 Outfit: Black woollen tunic with squiggle pattern in wool threads, black long sleeve top beneath, black leggings. Shoes: Black ankle boots with zip up back and tassel. Hair: Curled and worn down, pulled back with two mother of pearl floral clips. Accessories: Sterling silver bangle, aubergine heart shaped glass drop earrings. Next Naughty – or Nice?